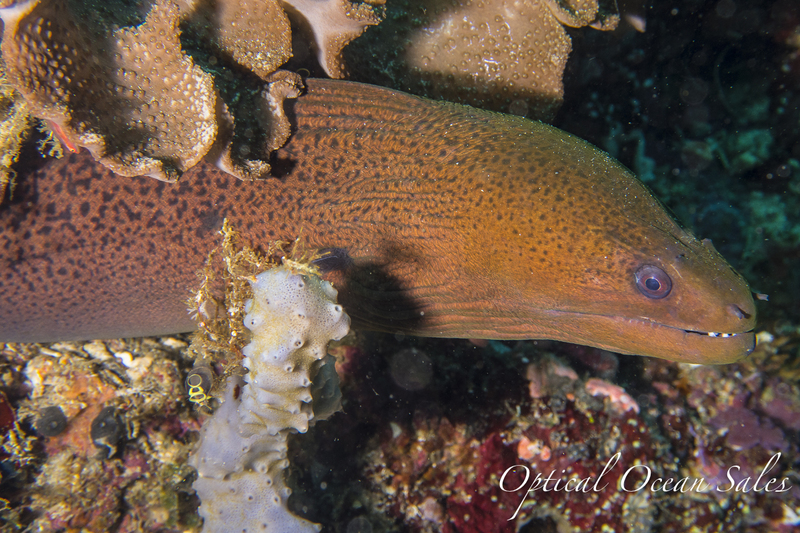 Although I had a lot of high-priced cameras along on my Solomon Islands trip, I also decided to take along the less expensive and friendly Canon G7X compact and the Fantasea G7X housing. The Canon G7X has had a lot of play in photo news sources as a “G16 replacement” and answer to the popular Sony RX-100 and Panasonic LX-100. The Canon G7X sports the same sort of 24mm (35mm equivalent) f/1.8 lens, and large 1” sensor that should give it the image quality of m4/3rds cameras, and a competitor to the the Panasonic LX-100 and other similar high-end compact cameras. I wanted to get a feel for how it stacked up. Because of luggage difficulties, we only had 3 days to shoot most of these systems, so I decided to let my roommate Brad try this system out to get a new user’s perspective as well. Overall, we found the camera to be easy to shoot right out of the box with simple controls and menus. This is true with many Canon cameras, which has made them very popular. Menus aren’t too deep with items simple to find. Most things you need access to have a direct control. 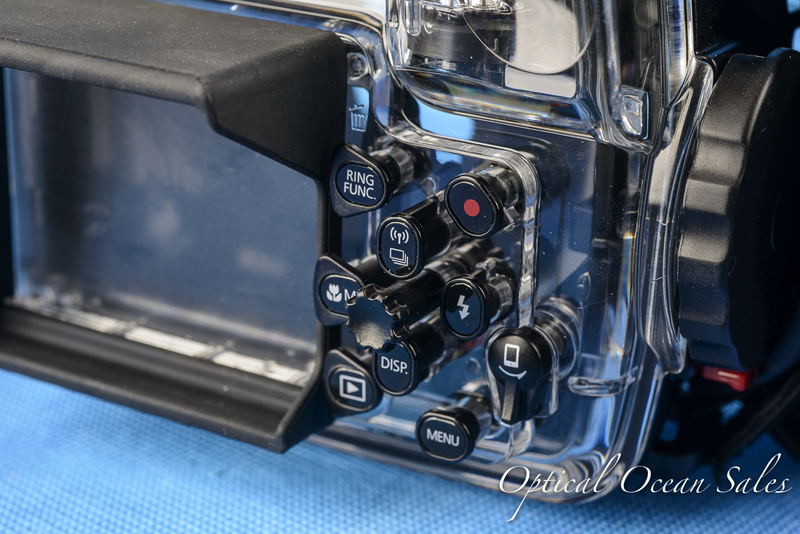 Some modes like shooting manual have multiple ways to access controls. This compares well to the LX-100 (previously reviewed here), which has many more controls and options that are designed in somewhat of a non-standard way, that can be a bit confusing. 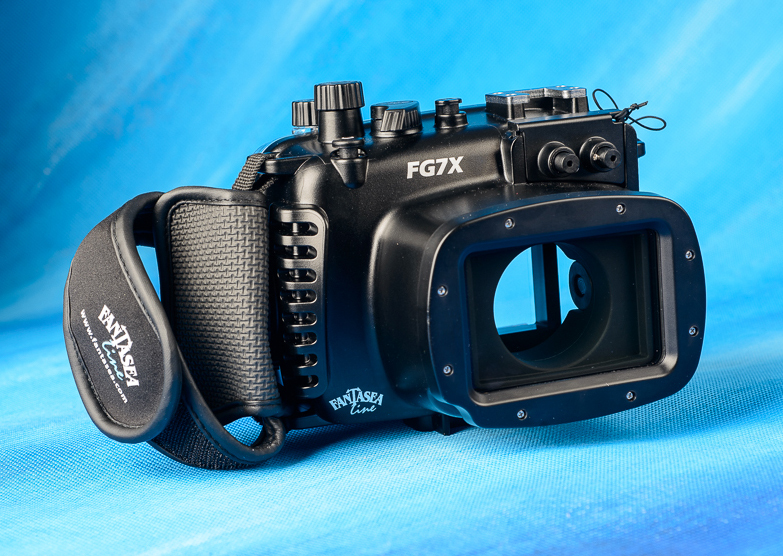 The Fantasea G7X housing is similar to other models that they’ve been manufacturing such as the Fantasea FRX-100III/IV, Canon G16, etc. 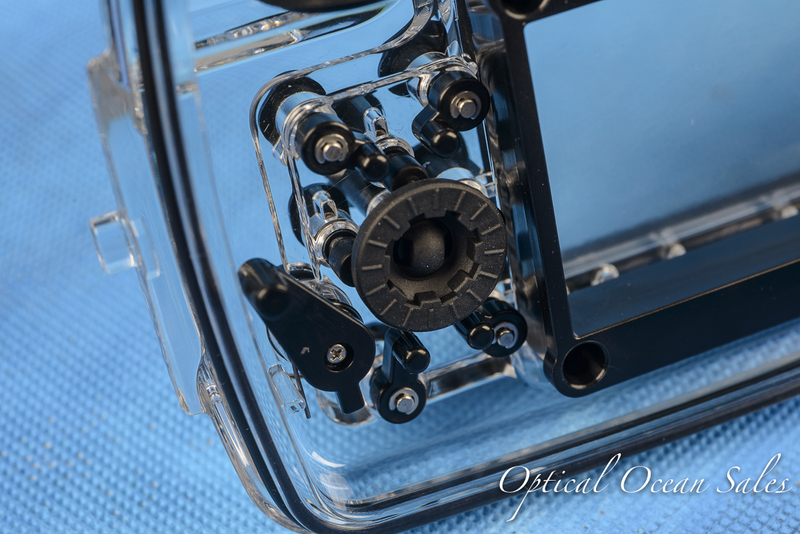 These polycarbonate housings are produced by the same factory that produces Olympus housings and you’ll find similar parts (like the cam-lock closure) are the same design. Looking a bit further into the inside of the Fantasea housing(s), you’ll find pretty decent quality, with design features such as offset push buttons and 5 way controllers that allow more room for your fingers on the outside of the housing. The wide rubber grip for the front bezel on these cameras grips and turns well and evenly. The controls are well-labeled and “ranked” at different heights for easy finger access. Sealing is very robust, a two o-ring system that's better than Olympus or Ikelite, with a primary, o-ring that is user serviceable and a secondary wide silicone “ring” seal that doesn’t need maintenance. 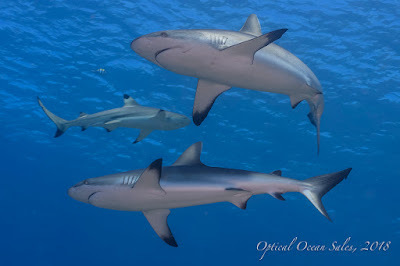 They are rated to 60 meters (200’). The housings also ship with a audible and visual leak sensor if you do have a problem. In real-world testing, we found two control issues with the Fantasea FG7X housing; the small rear dial control and the shutter release. The shutter release is small and isn’t as easy to find and access as it should be for being the main camera control. The rear dial knob is tiny, with gloves I would say inaccessible, and it’s operation was intermittent; you had to turn and turn it with just the right pressure to get it to work. This made using two different controls for manual operation pretty hard. However the G7X allows you to use the front dial, whose housing control knob is large, to work both aperture and shutter speed, simply by pressing a button on the back. This was much more positive and easy to work. The other issue of the Fantasea housings (at least for Canon models), is that in order to house these full-range zoom cameras, the ports have to be elongated to a rectangular shape. The problem then is that the only wide angle lens option is their own Big Eye lens; which only corrects for refraction back to 24mm, and isn’t a true wide angle lens. It’s quality isn’t the best either; shots show soft corners and stray reflections. This lens has been out for many years now (see review here), and they did more recently improve it’s optical coating to improve it. On the FRX-100III/IV models, they stuck with an oversize 55mm round port that allowed access to other wide angle lens options. Other manufacturers like Nauticam and Fix opted for interchangeable ports for wide and macro, but this does run up the cost of the housing. Fantasea is aware of this issue and I’d hope for a better solution for new models. Fantasea does make a clip-on 67mm Eyedaptor that will work for macro lenses (but not wide, due to vignetting). We tried that out with the G7X, and while the camera isn’t as good as the LX100 for macro, we were able to get some decent photos. You have to zoom in and get very close to the subject to catch focus. This made lighting a bit of a challenge. 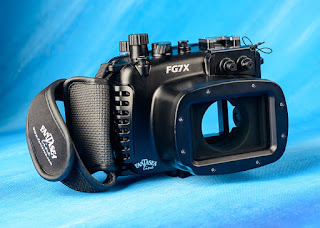 The Fantasea housing ships with a sync cord adapter that allows external strobes to be plugged in. 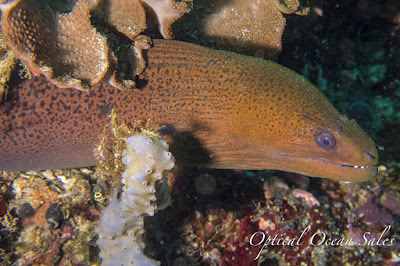 We shot with one Sea & Sea YS-D1 strobe and found it to sync and shoot well in TTL or manual modes. Like all Canon models, the G7X will not shoot TTL in manual camera mode, you must use aperture, shutter or program modes. Camera battery life is poor, lasting barely a dive or two. A spare battery is recommended. 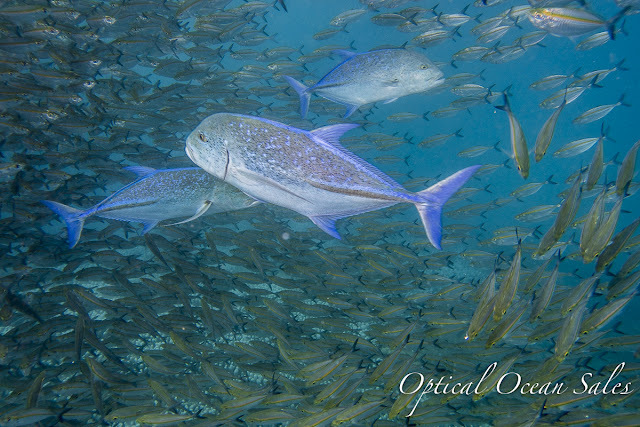 Subjectively, we found sharpness and image quality not to be up to the LX100 or RX100 series cameras. However, like comparing TVs in a showroom, it’s not bad, just not as good. Shutter lag was a problem, more pronounced than with the other cameras, although a focus light helps all of these cameras catch focus which rely on contrast auto-focus. But all-in-all, new user Brad had a great time with the camera, as did another couple of users we had try it out, getting shots easily that were quite pleasing. He liked using it better than the LX-100, which he found a bit intimidating. 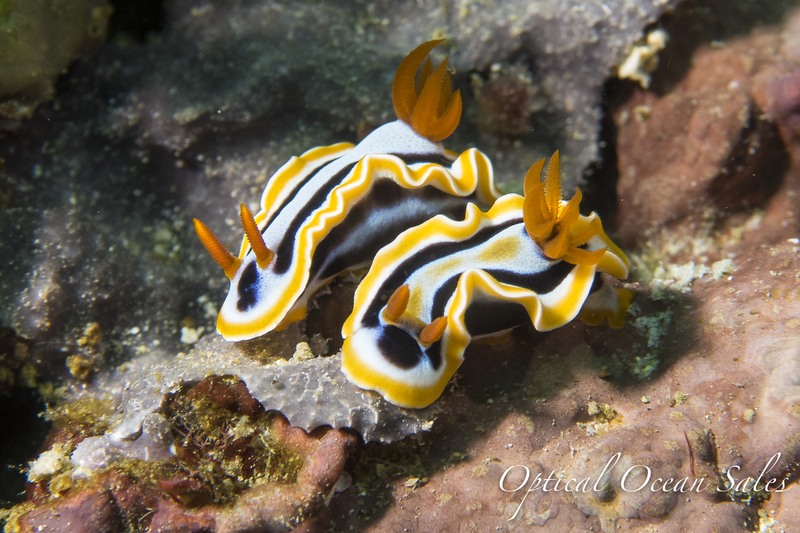 So your enjoyment of this camera may depend on your experience and technical level. We think the Canon G7X and Fantasea FG7X housing is a good, affordable, easy-to-use combination for beginners, or those wanting to step up to a more moderate quality camera. Owners of previous Canon models will be quite pleased. However, more experienced users may be somewhat let down by it’s overall performance and image quality, and prefer the Sony RX-100III or IV, or Panasonic LX-100 as a compact camera solution.